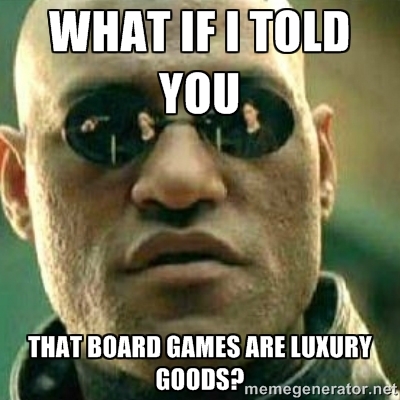 Board games are luxury goods. 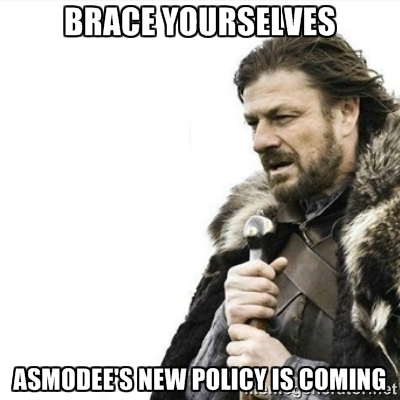 This is an especially timely topic given Asmodee North America’s new pricing structure that goes into effect today, a pricing structure that prioritizes the Friendly (or not) Local Game Store and offers a less-discounted price to online game purveyors (likely resulting in higher-than-we’re-accustomed-to online prices). In light of this announcement there have been enraged opinions that this is all a desperate money grab, calls for boycotts of Asmodee, and the typical online outrage we’ve come to expect whenever anyone announces anything. And believe me, I’m sympathetic to this outrage. I really am. The LGSs close to me are not all that F, and the one store that is friendly I don’t spend much time in. Truth is, board games are more about the company than the game to me, and I like choosing my company, whether that means playing in my home or at work. True, I’ll play against people I don’t know, and if you approach me at a con, I’m happy to play a game with you. But personal interactions are already taxing for this introvert–I’d rather play against people I know. 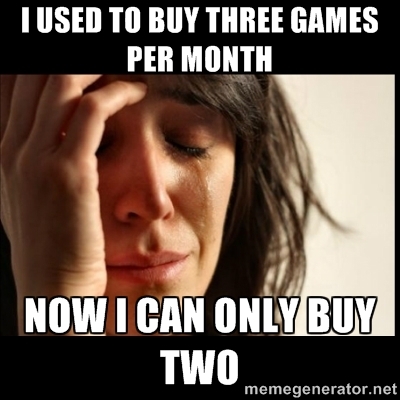 So I don’t spend a lot of time in game shops and primarily purchase my games online. But here’s the deal, lest you think I forgot the premise of this article: board games are luxury goods. They are not bread, or milk, or vegetables. No one’s life is diminished in any meaningful way if they don’t have the newest board game (although I can respect pleas to the contrary). Asmodee (or Mayfair, or whoever follows in their stead) isn’t twirling their mustaches while withholding life-saving medicine. They are maintaining prices consistent with a luxury good, because people tend to value what they spend their money on–whether it’s their education, the car they drive, or the board games that appear on their tabletops. Board games aren’t necessary for life. They are a mode of entertainment; as such, they are the first thing that can be cut out of a budget (which is what happened for my family when we had kids*). Nobody dies if they don’t own a board game, and there are other (much cheaper) ways to occupy hours not spent in toil. You can use the local library, or tune in to network television, or heck, even get a Netflix subscription (which is cheaper than a monthly or even quarterly hobby board game purchase). Because of this, it makes sense why members of the board game community would feel such ownership over their purchasing decisions. The money spent on board games could be spent on other luxury goods like apps, movies, or evenings on the town. My mother-in-law shops at more expensive stores than where I shop because she likes the full-service treatment; and indeed, you can make more demands and maintain higher expectations when you’re paying for an extra and unnecessary service. So: as much as I don’t care for (and don’t identify with) an entitlement mentality toward board games, it makes sense in some respect. Board games are luxury goods. What doesn’t make sense to me is the entitlement attitude that reaches beyond product to price, as if players deserve to have both great, high-quality hobby games and a low price. When I saw the pandemonium of online sales during Gen Con and Black Friday, my first thought was, BUY SOME BOARD GAMES! THIS IS AWESOME! My second thought was, There is no possible way this kind of discounting is sustainable. Copies of 7 Wonders and Dominion going for $15? Splendor for $20? Prices were at least 50% off the printed MSRP, and these weren’t the unpopular games that collect cobwebs in the back corner of the local game shop until they are clearanced and never seen again–these are hit, evergreen titles that are consistent top sellers. You might argue, “Well, everyone has them already,” but judging by the consistently high sales numbers of Catan, this is simply not true. While your hobbyist friends might all have a copy of every “gateway” game, the wider population does not. The question is, are such low prices good for a luxury hobby? Maybe–they might lure in non-hobbyists who wouldn’t plunk down $50 on 7 Wonders but are willing to try it for $15-20. But ultimately, if you’re trying to grow something, the goal isn’t to desperately assign bargain-basement prices to get people in the door–that teaches them that the product isn’t worth the wink-and-nudge MSRP you’re usually trying to charge and assigns a lower expected value. No, the goal is to convince potential purchasers of the value of what they’re getting. Yes, this copy of Dominion retails for $45. That’s a lot of money for some slips of cardboard. But you know what? You can play it a hundred times or more, and it won’t get old. This copy of 7 Wonders for $50? Yes, it’s a steep investment, but you don’t really need expansions for it, and it’s still great 60+ plays in. In The Everything Store, a book that catalogs Amazon’s rise to prominence in retailing, Amazon executives are said to use the image of the flywheel to describe their retail model. Essentially, the idea of the flywheel is that every input is positive input and drives positive change (for them) in all other facets of the business. So, for example, getting more customers might give Amazon more bargaining power in getting better prices from publishers/manufacturers, which in turn gets further discounts on shipping (because of more packages shipped), which brings in more customers. This feedback loop, obviously, is great for Amazon, but there comes a point at which it produces relationships that are no longer sustainable for publishers and other partners. If the price of goods is dropped low enough, it no longer makes business sense to produce them, or at least at the standards at which they were produced before, or for the cost they were sold for before. Something has to give. You can already see something similar in books. Amazon has driven the cost of books down (both in its outrageous loss-leading in its e-book pricing and its incredibly slim margins in physical books), and so fewer and fewer publishers employ copy editors and fact checkers to match this lower price. The cost of the book may be lower, but the quality has suffered in the process. It isn’t hard to extrapolate to the board game hobby that if prices are low enough, royalties can no longer sustain full-time, rock-star designers, and you will see fewer (or sloppier) games from your favorite designers. Again, in books, the number of full-time, career writers is low. “But,” you might argue, “this is just the realities of business. Amazon (or, in this case, online retailers broadly) have capitalized on new technology. If local game stores and publishers can’t compete, they don’t deserve to survive.” I suppose that might be true, if all that matters is a bottom line, and if you don’t care about a larger ecosystem. But game publishers (or at least Asmodee North America) doesn’t think so. Fantasy Flight’s “lifestyle games” like Living Card Games and miniatures games thrive in an environment where players are readily available and organized for play. Sure, these events could potentially be facilitated in Meetup groups, etc., but stores are actively invested in promoting these events on behalf of the publisher. It makes sense for the publisher to return their support. And local game stores are a presence in the community. Meetup groups can come and go, locations can shift, the organizer can just get tired of putting it together. Brick-and-mortar stores have sunk costs and skin in the game. Of course, these sunk costs also explain why they can’t offer the deep discounts that online retailers can. As I said, I don’t really use my local game stores much, but even I can understand the disparity of a volume-selling online store not charging freight costs (a huge discount) in addition to offering far lower prices than a game store can offer. One solution to this disparity is the “survival of the fittest,” “let the small game store perish” mentality. Another solution is what Asmodee North America is attempting: incentivize the local game store, through offering both larger wholesale discounts and exclusive promotional items. And Asmodee is one of the few game companies large enough to perhaps make a difference in this regard. You can boycott Asmodee over a few extra dollars per game, but are you really going to stop buying the hot games over a few extra dollars? Probably not. You might buy fewer games as a result, and again, as Asmodee’s representative hinted in the Dice Tower’s GAMA coverage, that might not be a bad thing. Whenever I go on a buying binge at Cool Stuff or Miniature Market, I have lots of games, yes, but they get played at a much slower pace than if I had just bought one. And in many cases, by the time I make it around to the fifth game in the stack, I’ve lost interest and moved on. I know not everyone’s habits are like mine, but I can definitely see the benefit of returning hobby board games to their luxury good status to ensure 1) that they are played, and 2) that they are cherished. In addition to prizing what we deem valuable, we’re also more likely to share it. What I’m getting at is this: hobby board games are a luxury, and while no one likes to pay more for the thing they used to buy for less, it’s probably overall a gain for the hobby if prices more accurately reflect the realities of publishing. This ensures that publishers can continue doing what they do (bring you games you love), that designers can do what they do (create experiences you want to be a part of–and receive the payment they deserve for doing it), and that you can do what you do (have multiple good options for which games to buy and play them with your friends, lots of times, before moving on). Whatever you do, DON’T be this guy. * Interested in board gaming on a budget? I wrote about it here. ** I wrote this article before W. Eric Martin of Board Game Geek published his “Historical Perspective on Changes Announced by Asmodee North America.” His is a more comprehensive look at this issue (although noticeably lacking in tacky memes). Great article! Admittedly, I didn’t see what all of the fuss was about…maybe Asmodee’s tactic isn’t the most brilliant, but on the face of it they’re trying to support the FLGS community which is sadly shrinking in this country. While a few stores pop-up from time to time, I’ve seen shops both in my home town of Philadelphia and here in the Washington D.C. area close their doors due to a decrease in foot traffic in the aisles to make purchases. Sure, the areas in which people play their games are busy on Magic: The Gathering Nights and on the weekends, but few are making their way to the cash register at the end of the night. 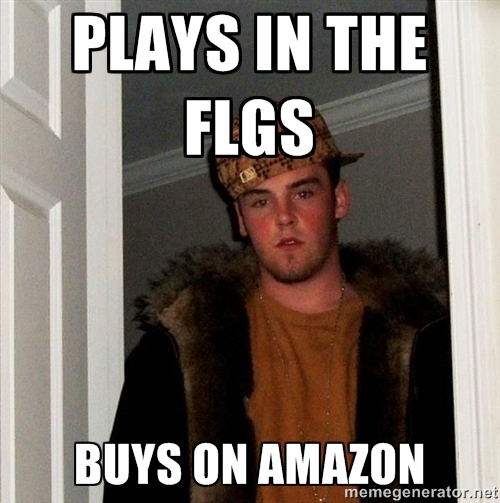 I’m also one who loves engaging with others at the FLGS…I’m the curious extrovert in this hobby, and more than half my collection has been purchased through the until-recently-shuttered FLGS here in Chantilly, VA. Now, I have limited choices, and Amazon, along with my Prime membership, guarantees that it will be on my doorstep in 2 days. Yes, Amazon, Wal-Mart and other behemoth retailers are doing more to decimate the existence of FLGS’ across the country, but unless they can compete, how are they to survive? Maybe Asmodee’s knee-jerk response isn’t crazy, nor is it particularly greedy in nature…it recognizes the problem and is trying something. anything to stem the tide. 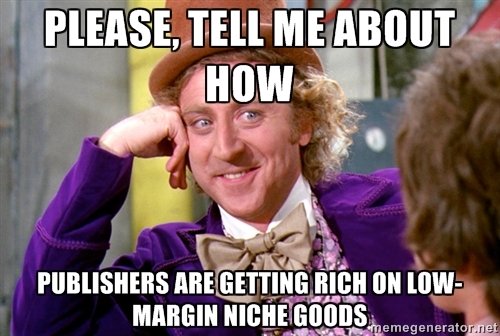 As one who have used Kickstarter for publishing my own game and publishing books on Amazon, I couldn’t agree more. We’ve entered an era where everything basically has to be “free to play until level 20”. On Kickstarter we’re now getting so used to cheap board games competing on prices that makes it almost impossible to print anywhere but in China, much less sell to distribution afterwards. Only the rule of scale can save new publishers, selling 1.500 copies simply won’t cut it anymore. On Amazon new publishers compete with well-established book series of 1.000+ pages going for $2,99 … granted it’s digital, but still… 1k pages for the price of a hot chocolate in a non-fancy restaurant, that you’ll enjoy for 10-15 minutes! Cult of the new and cult of the free… have merged. Catering to the idea of maybe slowing down our purchase lust and lets enjoy our belongings for maybe a little longer – is recommendable. Your observations were practical, sensible and hopefully, not news to anyone regarding the status of boardgames (or games of any kind) as luxury items. I have posted on BGG about my concerns in relation to ANA April 1st policy (now in effect), and it’s not about higher prices or lower relative discounts from MRSP. It’s about how Asmodee has communicated (or not) its intent and in doing so, how it views me as a gamer, customer and investor. And it’s a tad insulting. It’s not entirely clear whether this policy will have the beneficial effects for LGSs that ANA claims motivates its decision. They also have failed to address that customer demographic that doesn’t have access to a LGS, but must now potentially contend with a reduced field of authorized, online retailers. What I find most unfriendly (and the insulting component of their recent communiques), is that gamers are apparently to blame for the general trend in the devaluation of their products (according to Anton Torres of ANA in his comments at GAMA 2016 explaining how he would prefer that customers purchase fewer games rather than blindly follow the discounted price). 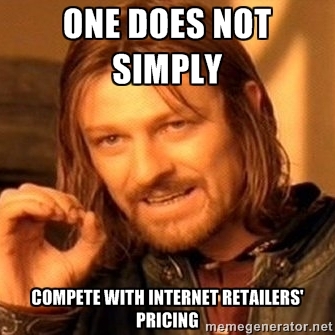 They seem surprised that customers seek out valuable products for the least available cost. Christian Petersen keeps talking about appropriately compensating those LGSs that provide a shared gaming space and social context for our hobby, and that these efforts cost money. Perfectly reasonable, and I agree that retailer discounts are one way of providing this difference. But for those of us who have no access to a LGS, where is the value in his proposition? I am simply seeing higher prices without a commensurate service benefit. Apparently, as someone who predominantly buys online, I am considered a second-class citizen by ANA because my propensity to avoid paying more that I absolutely have to has brought the board gaming industry to the brink of collapse. Historically, FFG has a much better customer relations track record than that. Perhaps those days are over, too. Asmodee has gotten a lot of my money for the wonderful and desirable products that they create. They should be able to charge what they feel is appropriate for their developmental investment, just as I should feel free to decide that even a great product is not personally worth what they are asking. But don’t tell me that I’m the problem, that I’ll be paying more for services that I can’t access and that this is all for the long-term health of the industry and to help foster the next generation of customers with enough disposable income to purchase a game at $100 MRSP. I hope ANA learns something beneficial from this PR mistake, because alienating the customers that can help you bring new gamers to the hobby is contrary to your stated goals. But then it really doesn’t matter, does it? It’s just a luxury item. As W. Eric Martin notes in his article (linked in mine), ANA later made clear that Anton doesn’t speak for the company, at least in any official capacity. So while his might be the off-the-cuff sentiment, it’s not the sentiment I get from the PR releases. And to those releases: ANA is setting new discounts, but it isn’t doing anything about price caps or retailer discounts. So: if CSI were willing, they could retain the old ANA prices. The fact that they aren’t only illustrates the predicament brick-and-mortar stores are already in: they can’t charge less than they do and still be profitable. I agree that ANA probably could have made the changes quietly, behind the scenes, and not gotten so much backlash, and they probably could have handled their announcements better, but ultimately I think this is a good move for the hobby, and I’m glad they addressed their new policy in public. I WAS a bit bummed when Quadropolis was ~$5 more than it would have been under the old pricing, though, so I sympathize.